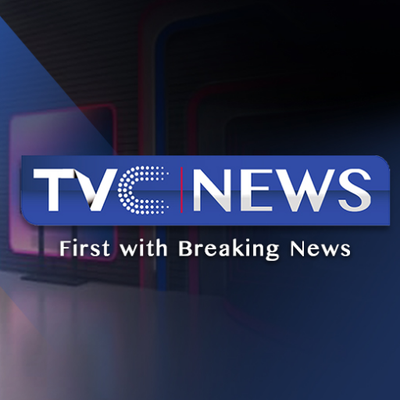 TVC News is unarguably one of the very best media outlets in the country. Owned by Continental Broadcasting Service Nigeria Ltd, the TV network promoted itself as the ‘first in breaking news’. This it has done brilliantly over time thanks to its agile team of Reporters and Presenters. One of these amazing presenters is Ibraheem Shitta; a man who has done wonders on Radio and from all indications doing even more with Television. For #TheMediaChat, @LearnRadioOnlin’s @thesultangrey caught up with Ibraheem Shitta @IbraheemTVCnews of TVC News @tvcnewsng to discuss his evolution in the broadcast industry. For #TheMediaChat, Learn Radio Online’s Sultan Grey caught up with him to discuss his evolution in the broadcast industry. He dropped some very inspiring narratives which every aspiring broadcast journalist either on Radio or Television should take to heart. Let us have an insight into your background. I am from Ogun state. I had my primary to tertiary education from there save for my M.Sc programme which I had at the premier University of Ibadan. My family values education because most of them are teachers. My father, may God repose his soul, was a retired head teacher. Sweet mum also retired from teaching service a while ago. Schooling was interesting, challenging at the same time but I did all I could to stay on top of the class. So much about my background but this should suffice. Well, it all depends on how people see you and what they think of you. But I think I have a strong personality – determined, go-getter. Because I have this mind-set that if someone can do this, then why can’t I? On the other hand, I’m fun-loving, playful and can be reserved at the same time. It’s really a mix me; so to speak. So you studied Mass Communication at MAPOLY and Applied Communication at the University of Ibadan but we know that studying these courses doesn’t translate to practicing journalism eventually. At what point did you realize that being a broadcast journalist is the way to go for you? Mmh! Fantastic! Back in the day while growing up, one of my uncles loved to call me a pilot. I felt I’d be one but no. After my O-Level, I had the intention to put in for Law at the University of Ilorin but Jamb ‘jammed’ me more than 2 times even when I met the requirements. I didn’t know why; maybe (that was due to) the catchment area syndrome. I tried OOU, Ago Iwoye; was part of the first applicants for UNIOSUN. I was admitted but Law wasn’t just handed to me. At some point, I felt I was wasting time so I enrolled for Mass Communication at Moshood Abiola Polytechnic, Abeokuta. Looking back, did you at any point think you would make a better Lawyer than a Broadcast Journalist? Yeah, (I will) to some extent. I still have it in mind though. It all depends on what the future holds. The doors open and I go in. Usually my moves are not deliberate. I just pray, trust in God and move. But I ensure I handle my current positions with absolute professionalism and innovative ideas, so that when I leave, I’m really missed. I’m proud to say this. So, having it at the back of my mind how saturated the media industry is. Even though making distinction is like a camel going through the eye of a needle in our department, I maintained an upper class throughout my years. It was taxing but I enjoyed the program. Moshood Abiola Polytechnic is one of the best schools that offer this program better with the quality of academics in that department. But preparing for this profession started even before then. I was an apprentice at a photography and videography studio – I copied a friend after secondary school. Then I moved on to enrol for a diploma in video production and editing before I finally got to MAPOLY. I prepared myself for this and I understand every aspect of broadcast programmes production. You also hold a professional certification in Broadcast Presentation, how instrumental was that to refining your skills even after studying Mass Communication itself? Oh sometimes I just enroll for these courses because this is a country that will be asking ‘what are your qualifications?’ ‘How many this and that have you done?’; without focusing on your real aptitudes, competences and so to speak ‘deliverables’. It doesn’t mean these things are not good. But I had prepared myself and understood the basics before I enrolled for the Federal Radio Corporation of Nigeria Training School, Lagos. So it wasn’t a problem comprehending all that were taught. It’s a great institution though. I’ll say passion, determination and ‘stick-to-itiveness’ is the key. Do you subscribe to the idea that certification should be less of a consideration in the broadcast industry? Naah! The two should be but more emphasis on skills after you have been certificated. Okay. So, you used to be an editor at AIT before leaving the station for a teaching job. What happened? Why did you leave and why was teaching the next job you considered? Yeah I actually interned at AIT. I was connected to the popular Yoruba presenter on Ray Power and AIT – Babagboin. I spent few months with him. He was indeed a fantastic man. We virtually rocked the southwest states together. Yet, I wasn’t satisfied because my interest is being an English broadcaster. Then someway somehow I got absorbed into AIT to continue my internship; this time at the editing suite. So I did software-based editing until the end of my internship. It was after then that I returned for my HND. I didn’t bother going to the university because I learnt the school (MAPOLY) would soon have its own radio station. I also wasn’t inspired when I met my fellow interns because I taught them what I did as an introductory course which they are to take later at 300 level or so. But those guys are good anyway. And I wasn’t particularly a teacher but I did that as a Corp member who was posted to a school. I chose to teach English including the oral aspects. Okay. Generally, I have observed that throughout your career so far, you’ve always been affiliated with organizations that have multi-media brands. I mean AIT has Raypower FM, MiTV has Star FM, IBR has AiTV and even TVC has Max FM. Was that deliberate in any way? Naah; not exactly. I think it was just accidental and entirely unintended. For MITV/Star FM, I was not really satisfied with my NYSC’s Place of Primary Assignment so I requested to be given a chance to practice. I got it so I shuffled between PPA and the station. As a matter of fact I got employed in that station months before the end of my service year. Funny enough I was the news anchor on the night I had my Passing Out Parade (POP). I was among those interviewed in that news coverage. It was then that many realized that I had been a corps member all along. But then I did really enjoy the experience of presenting for both channels belonging to the same organisations. As a matter of fact, I was the Head of Presentation for both arms at Impact Business Radio/ Impact Africa Television. Cool! Now, let’s talk about your stint with MiTV/Star FM. For the past few years now, there have been a lot of flaks on them with respect to the general working structure of the station and staff welfare. As a former employee who didn’t spend up to a year with them as well, how was the experience for you? Well every organisation has its own ups and downs. That an organisation appears cute doesn’t mean everything in their garden is rosy. As for Mitv/Star FM, I can’t really say what the problem is. Because the station invests in unique structures as well as multi-million Naira state-of-the-art equipment – not in all sections though. The parable of that broadcast outfit is a similitude between it and a gargantuan ship right in the middle of a sea with a pilot(s) that has no compass. Anyway I didn’t regret my stint in the station because it was a stepping stone to break into the Ibadan media milieu. I pray they get divine direction. Okay. Moving on, you were one of the best Presenters IBR had if I may say that. Why did you leave especially at a time when the station appears very vibrant and booming? As a matter of fact I was one of the founding members of that organisation. I joined the station even when the mast was yet to be installed. They needed young and vibrant youths. That’s why at that time most of us employed were under-30 as far as I know. I pioneered so many programmes including the flagship ‘Rise and Shine’ morning belt; anchored ‘Let’s Talk Business’, ‘Waste To a Wealth’ which went on to train more than 300 people on how to earn a living with waste materials. I introduced, ‘Impact Game Show’, ‘Impact Point (political)’, ‘Impact Islam’ and until my resignation I anchored the biggest (2-hour political) programme of the station as at that time, ‘Bottom Line’. (Cuts in) So resident in Ibadan, how exactly did you get the job at TVC News? What was the process? Okay, so one way or the other, I got a link to one of the big minds at TVC News. Just a phone call, a demo of what I did and God’s grace did the magic. I didn’t do any interview like many others. That’s amazing! What exactly informed the decision to make that definite transition from being a Radio Host to being on TV? It is not a definite one. As I said earlier, I was trained in both and I have a background in broadcast programmes production and post-production. Wherever the opportunity opens, I just cruise in. Make yourself relevant in all areas of your field. I can function in any channel. It’s just me. It’s my passion and my resolve from school. And how challenging do you find TV generally compared to Radio? Eeeh! It is really taxing considering the intricacies involved. Radio to me is cheaper in production than television. It involves producing for the ears and the eyes, the look and feel and the budget and planning involved is huge. You must match your words with pictures. It’s not for the lazy chap. Radio is not that cheap though because most of the things you need as a producer or presenter can be generated through sound effects. You only bother yourself with painting pictures with words to effectively communicate the ideas, emotions etc to your audience. However, they are both not child’s play. Is there any plan to come back on Radio someday? It’s actually not about coming back. It is where ever the path leads – to success and fulfillment – I follow. So I was in TV yesterday, radio yesterday, TV today maybe online tomorrow. But my dream is to be with international stations and make impacts. In real sense I got bored working with regional stations and being a local champion. So I decided to take a leap. And I pray that when the time comes, I will still have to take a leap. You’ve moved to TVC News for over six months now. And I think it must have been a huge paradigm shift for you. I mean from Radio to TV and from Ibadan to Lagos. Did any of these make you sincerely feel some sort of complex putting where you were coming from into consideration? Yes indeed but it is all not new to me. TVC is no doubt equipped with the state-of-the-art, cutting edge technology; from the reception to the newsroom to the PCR etc. One needs to be trained to use them. But then IATV has some of the latest equipment too. It was different compared to what I experienced in LTV and AIT and Mitv. I don’t know what they have at the moment though. So working in TVC news department is where I have experienced true ‘madness’ as ascribed to TV stations. Everyone is always on the alert for breaking news, spotting mistakes, writing on the go. You will be surprised that someone like the cameraman or the gaffer would rush to raise an observation. Everyone is always alive, why? It is because they are professionals to the core. Our CEO and News director and indeed everyone are rare breeds, experts to the core. As an anchor, you are part of the production. So you know what’s up. Before the director calls the shots, you know what’s next. But anything can be thrown at you so no one is allowed to be passive. The debate on the disposition of the broadcast media towards ideal journalism is rife. A lot of people would say you should leave the tag journalist for the guys on print platforms. How tenable is this narrative to you? Everyone has his or her own strengths. Because journalism started from them doesn’t mean they own it all. Most of the gurus in broadcast now were print genius. I don’t know why people say that anyway. But if I had agreed with them on this, I don’t hold the same view anymore because we engage in investigative journalism here. Two reporters from our station won the last year’s Wole Soyinka Award for Investigative Journalism, first and second runner-up over other respected competitors. And of course we won the most coveted Nigeria Media Merit Award of the year. Okay. So as broadcast journalists especially on Radio, how do we draw the line between informing, educating and entertaining the listener? That shouldn’t be a problem. Although a whole lot of people today on radio just want to open their oral cavities and talk even when no message is being passed. For me, I’m so picky when it comes to what kind of program I listen to. I don’t listen to radio for the fun of it. I want to be informed, enlightened and well entertained along the line not just throwing jibes into the air with less sense made. In fact, I take much offence especially at programmes that gossip about celebrities and at the end of the day no meaningful message would have been passed. Youths today want to be entertained. Yeah but programming goes beyond mere gist and playing of music. Didactic approach has to be employed at least so that your program won’t just leave people hanging. I mean a show with no substance. To avoid this as a presenter especially a producer as the case may be, such person should consider taking a proper synoptic view of what he or she wants to talk about. This includes aims and objectives, the type of program, the target audience, philosophy of such program, timing, and the format such would be laid out and this can only be achieved with proper scripting of such shows. Unfortunately most guys think they have the gift of the gab but even the most successful show hosts have their scripts either fully written or partially sketched out. I have listened to a couple of your interviews and you sure have a way of sparking conversations with your interviewees. So tell us, what’s your secret to having a great interview? My brother, it’s just simple. You must first do your research about the topic(s), about your guest and rehearse your conversation before you even leave your house, if you already know what’s coming. Show interest in what you are discussing with your guest. Discussing is used advisedly here because as an interviewer you are not a prosecuting attorney. You shouldn’t make it a confrontation even if it’s a hard talk. Just be civil about it and let it flow naturally. By doing this, your guest would be relaxed. And before you know it, he’s telling you even the most important details he may not say if you make it appear like an interview. An important aspect of sustaining a conversation which most presenters often neglect is listening. Good listening would even make you active and able to drive the conversation smoothly. I handle my shows like I’ll do off the air – simple, friendly but professional. Great! So you’ve always been telling the world especially on your social media profiles that you are a man with a clear vision. Give us an exclusive, where is Ibraheem Shitta heading in this line of profession? Well, ask anyone they will tell you they’ve got a dream. The crux of that dream is usually to be great. What kind of greatness it is now depends on the path we are trailing. God knows and I pray that He blesses my hustle towards the path of greatness to be among those celebrated internationally because of what they do. God knows best my brother. Alright! What is your parting shot to the media enthusiasts who are considering towing this career path? Oh wow! We could produce a textbook to exhaustively answer this question. But then, I will say to anyone who’s aspiring – because I myself, I am still an aspirant – to pursue your dreams. But it doesn’t only mean that because you’ve got ‘a way with words’ that you will make a great broadcaster. No! You must be trained, acquire knowledge, know the rules, the do’s and don’ts, learn about your audience and so on. Learning elocution is different from the art of interview either on radio or TV ditto print. Proper training must be acquired because you can’t make a good engineer, a lawyer or a medical doctor without having acquired the requisite training in such field. Unfortunately, broadcasting is now like the all comers affair. As a matter of fact, this profession should be regulated so much so that, if you are not certified you don’t have any business in there. But then the proliferation and commercialisation of broadcast contents have to a regrettable extent badly refined the profession. That is a topic for another day. Anyway, if you feel you can do well on this job, the fact that everyone isn’t doing something yet doesn’t mean you can’t achieve it. Do not follow where the path may lead, instead create a path and leave a trail.